While I wouldn’t ever suggest that a person use just one password for everything, I think I have a few ideas for what you’re trying to achieve, Mike. The easiest way to accomplish what I think you’re referring to is to make sure that you’re associating the same Apple account with each of your devices. So, for example, purchasing an app on your MacBook will require you to log into the App Store using your Apple ID, and you should use that same ID when buying an app for your iPad or iPhone. Similarly, when you’re activating iCloud on all of your devices—which should be a prompt when you’re initially setting them up—use the same Apple ID and password on each. Anyway, without getting too ahead of myself, just go ahead and use the same Apple ID for all Apple devices. When you do, you’ll then be using “just one password” whenever Apple asks you to re-authenticate. Now, if by “just one password,” you mean that you want to use a single password to log in to each device, you can do that, too. I use Touch ID, which allows me to log into everything I own with the same finger. That’s like “one password,” right? If you don’t have Touch ID, or don’t want to use it, you can always use the same password for each device, though you’ll be trading convenience for security. Assuming you have a PIN number that you really like for your iPhone and iPad, and you want the same for your MacBook, log into your MacBook and click on the Apple icon in the upper-left corner. From there, click on System Preferences, and then Users &amp; Groups. Click on your user account, click on Change Password, and make your MacBook password the same as the PIN you use for your iOS devices. 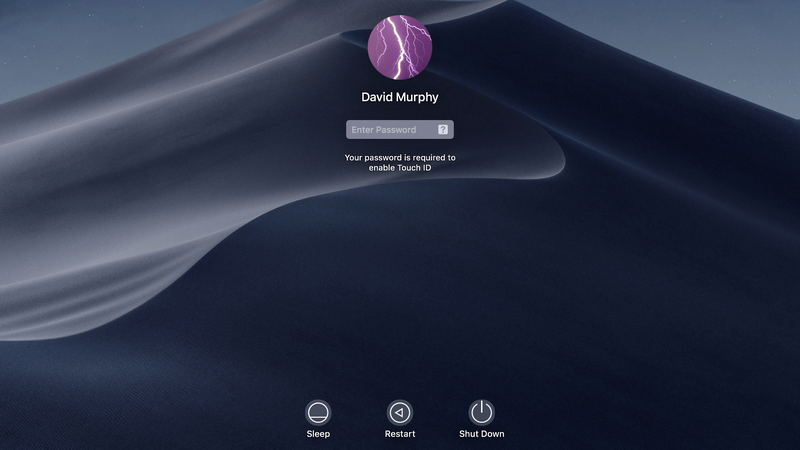 If you want to take it to the next level, you can also use your iOS device password as your Mac’s firmware password instead, but that’s probably a bit overkill. Stick with a regular ol’ macOS password and you’ll be fine. Conversely, if you have a password you really like for your MacBook and you want to have that on your iOS devices as well—and it’s not a six-digit number—you can also go alphanumeric on your iPhone or iPad. It’s going to be really annoying to have to type that out each time you want to unlock your device, but far be it from me to criticize super-strong security. On your iOS device, tap on Settings, and then tap on Touch ID &amp; Passcode. Enter your current passcode, and then scroll down a bit and tap on Change Passcode. Enter your passcode again (oof). 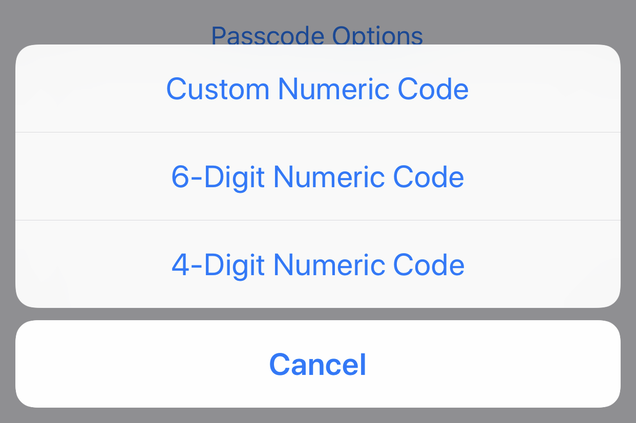 When asked to provide a new passcode, tap on Passcode Options and select the option for a Custom Alphanumeric Code (if you want to use letters and numbers) or Custom Numeric Code (if you just want to use numbers). While you’re here, I would also like to take the briefest of moments to note that password management apps—like 1Password or LastPass—can be a great way to combine the convenience of remembering one strong password (the password that unlocks the app) with the security of using multiple complex passwords for different sites and services. Authenticate into either app using the single password you’re familiar with, and you can then just copy-and-paste some crazy-complicated password whenever you need to use it for a site or service. You can even have the app paste in your credentials for you.